These easy 1 Hour Yeast Rolls have a soft, fluffy inside encrusted by a golden baked crust. 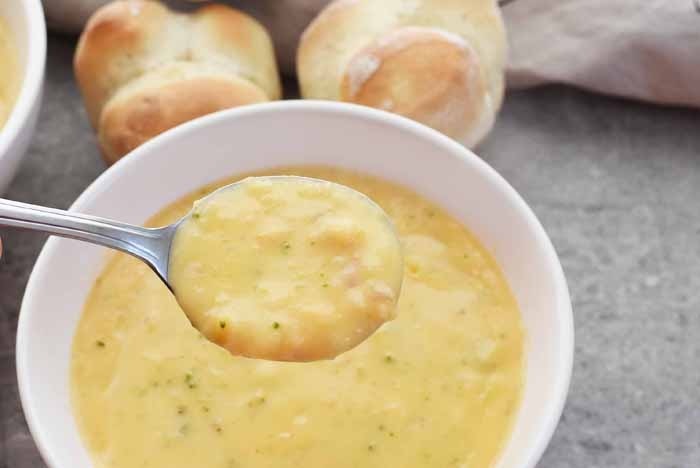 They pair so well with a delicious soup.Thank you Idahoan® Steakhouse® Soups for sponsoring this post. Enjoy the flavorful, slow-cooked taste of restaurant-quality soup at home, in minutes. One of the most comforting food combos for the cold, dreary winter months is a warm bowl of soup with fresh-baked bread. 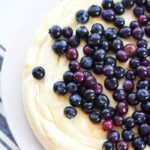 My kids love these kind of meals and surprisingly beg for them when it is chilly out. 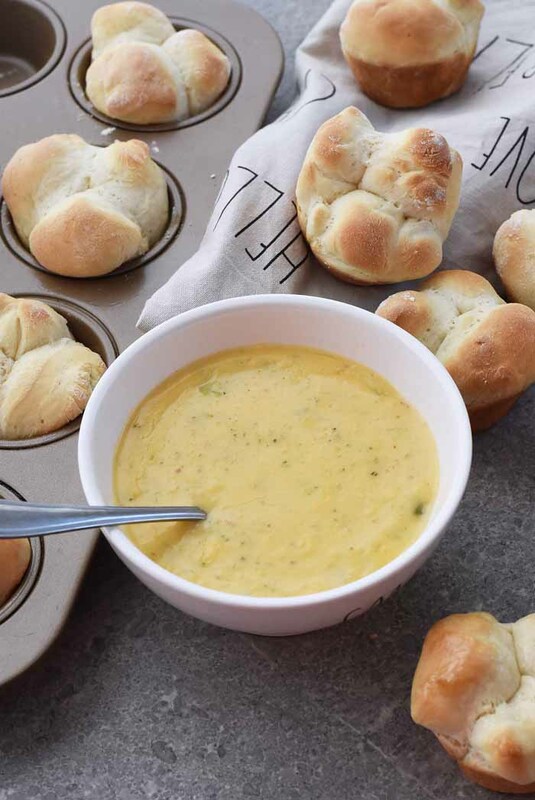 That is what inspired me to make these easy yeast rolls and cheddar broccoli soup. 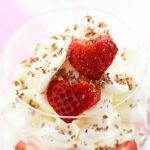 Of course, I am all about the short cuts and thrive on easy to make meals and sides. That is why I love to have products like Idahoan® Steakhouse® Soups on-hand. I grew up with this brand and love how they have ventured onto easy to prepare, hearty soups. Their Cheddar Broccoli soup is my kid’s favorite flavor. I love how with each bags comes instant comfort in under 15 minutes. These soups are so easy to make and bring restaurant-quality flavors right to your home without the hassle. All you have to do is simply add water, and soon thereafter you will have a small pan of bubbly, cheesy, rich soup. 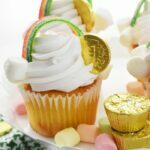 Every hearty bite is loaded with flavors! 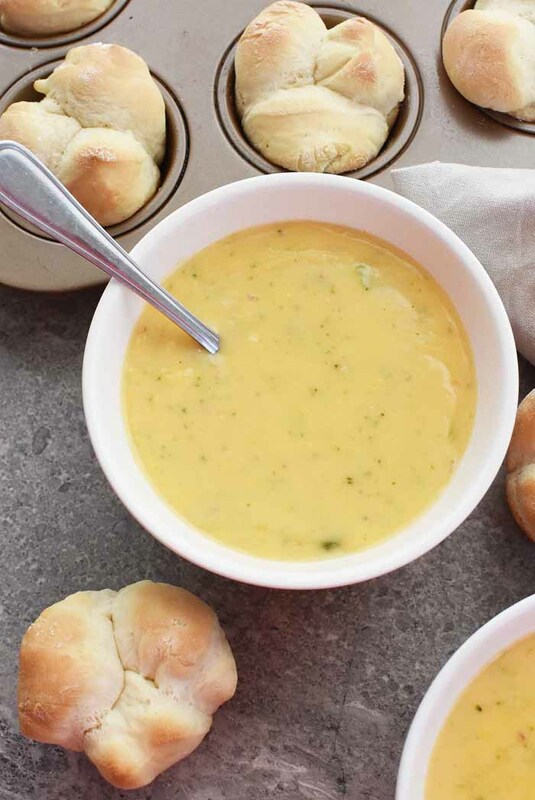 As you can see, these delicious, cheesy and thick bowls of Idahoan Steakhouse Soups are set alongside some pretty little yeast rolls. But, things have not always been so pretty when baking bread. About 10 years ago I couldn’t even get past step one for getting the yeast to bubble–nevermind baking actual bread. I learned so many things from this yeast roll recipe I found in my searches. 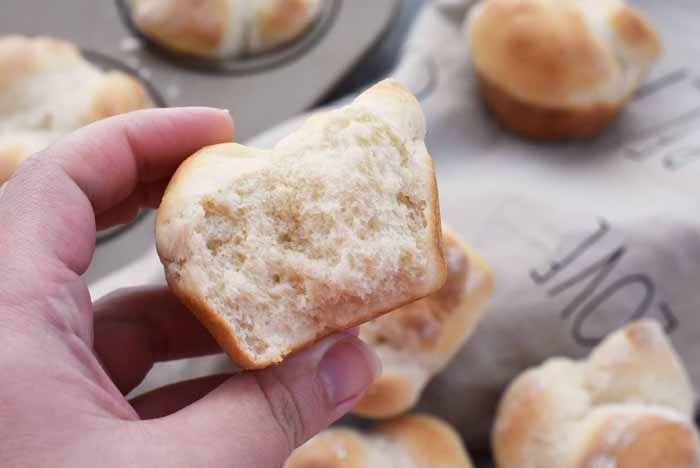 Since I myself was a novice bread baker, I decided to share some tips for things you will to bake these 1 hour yeast rolls in a muffin tin (which pair perfectly with Idahoan Steakhouse Soups). I really think gathering the supplies in the list above will help make this bread-making journey a tad easier. 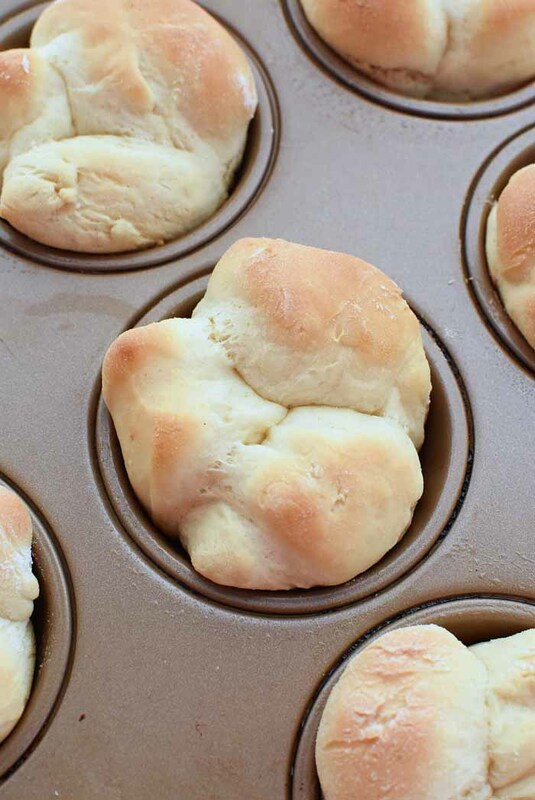 You can get the full recipe for these Easy Yeast Rolls made in a Muffin Tin below! After carefully following each step with patience and persistence, I was able to bake some of the best-smelling, most delicious yeast rolls ever! 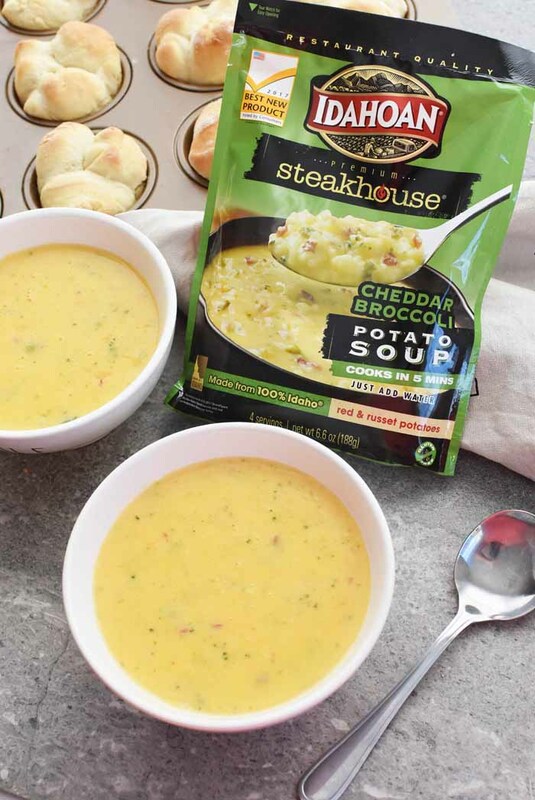 They paired so well with the hearty, creamy, and flavorful Cheddar Broccoli Idahoan Steakhouse Soups which you will want to pick up from your grocer’s soup aisle. 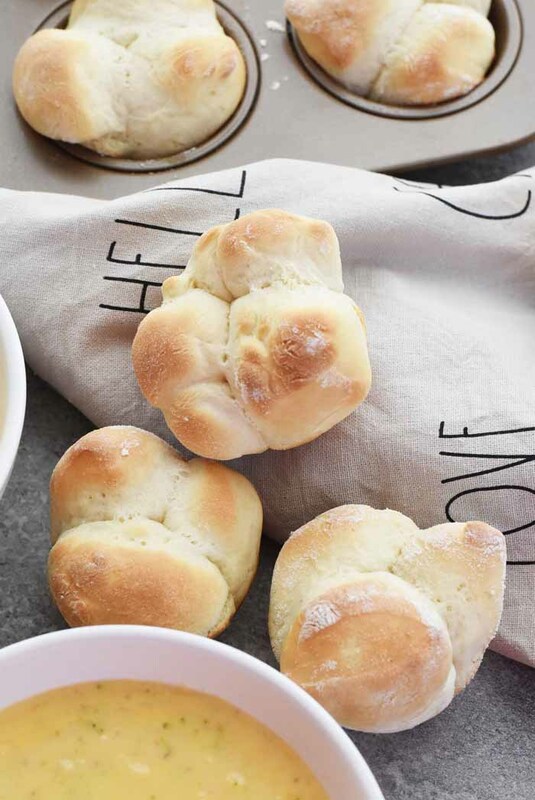 These easy 1 Hour Yeast Rolls have a soft, fluffy inside encrusted by a golden baked crust. Grease your muffin tin and a medium-sized bowl with vegetable oil and set aside. In a small saucepan stir the milk, butter, and sugar until melted over low-medium heat. Transfer melted milk and butter to a measuring cup and insert a thermometer. Cool to about 100F-105F. Pour buttery milk mixture into your stand mixer bowl. Add the yeast and warm water measuring 105-115 degrees. Allow yeast to foam for 10 minutes. Once foamed, add two cups of flour and your salt to the stand mixer and mix using the dough hook for one minute on low speed. With the mixer still on low speed, add remaining flour 1/4 cup at a time. Knead on low for 2 more minutes. Dough should be towards the center of the bowl on the hook. It should feel slightly sticky to the touch. Place dough in the vegetable oil greased bowl and flip to oil the top and bottom. Add water to a microwave-safe bowl and microwave for one minute to cream and warm, humid environment for your dough to rise. Place dough in microwave with a loose kitchen towel draped over the top of the bowl. Leave in there (do not turn on) for 15 minutes. Once done rising, place dough on a lightly floured surface and pluck it into 12 balls. Using kitchen shears, cut each ball into three pieces, and put 3 pieces into each muffin tin slot. Cover the muffin tin with your kitchen towel and place back in the microwave to rise for another 15 minutes. Once done rising, remove towel and place the rolls in the oven for 9-12 minutes. Mine took exactly 9 minutes and turned a nice shade of golden brown. You can brush rolls with melted butter if you choose, or a blend of garlic powder and powdered parmesan cheese. Enjoy warm. That sounds so good! I love how easy those roles are to make, and they’ll go perfectly with that soup! Oh no way! I want to make these! We love making fresh bread! I’d definitely enjoy making some of these and trying them out with a warm dinner. The soup looked really good! I know they’re probably the easiest thing to make in the kitchen, but I’ve never made my own rolls. Really need to get over it and just give it a try! I love the soup, but I am a klutz when it comes to baking bread. I guess I will have to try your recipe. Wish me luck with making those yeast rolls. BTW, they are the perfect pair for that delicious bowl of soup! 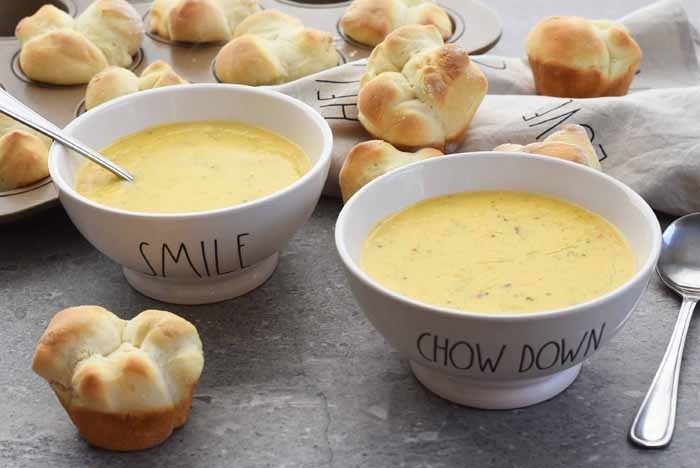 A warm bowl of soup with fresh-baked bread is what I need right now! I only can immagine that smell! I can’t wait to try it! 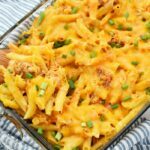 Such an awesome comfort food option! We make these rolls all the time. 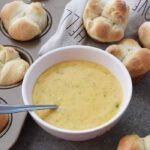 I love how easy they are and that soup is one of my favorites! Yum! I love yeast rolls. 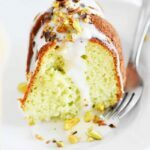 I can’t wait to make them in my muffin tin!